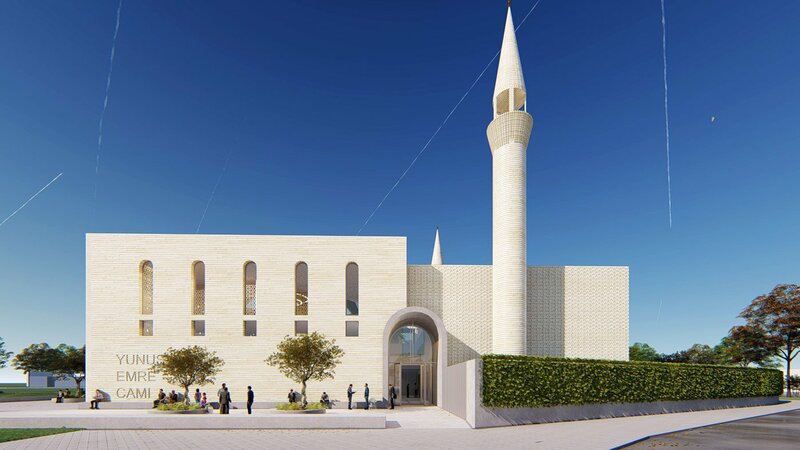 The current Yunus Emre mosque in Almelo (1974) is the oldest mosque in the Netherlands, which was built especially for that purpose. 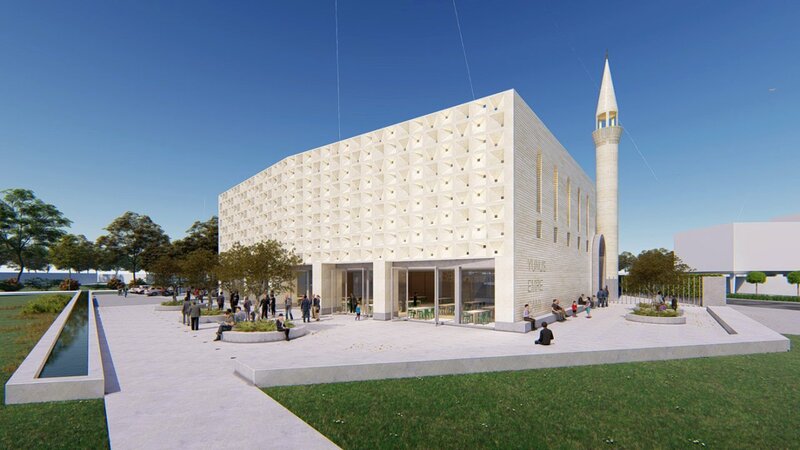 Meanwhile, the sympathetic building on the Bellavista street has become too small for the local, Islamic community. 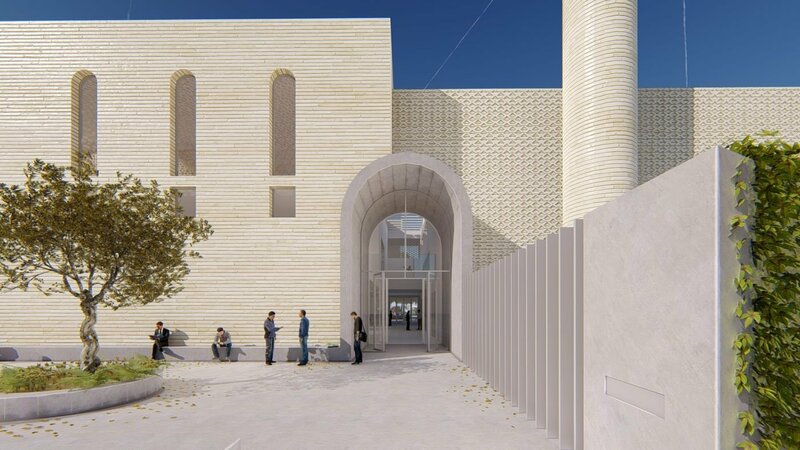 Both the large prayer room as well as the ancillary spaces for social activities are in dire need of expansion. 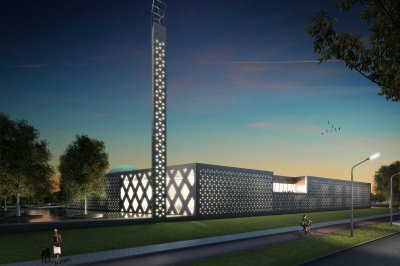 For this reason, the Islamic Foundation Almelo has invited IAA Architects to submit a proposal for the new mosque as part of a limited design competition. 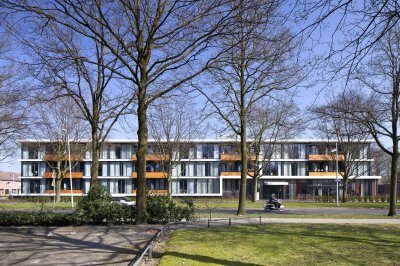 IAA Architects' design connects tradition with modernity. The bold, geometric shapes cite both the earliest of Turkish mosques as well as the clarity of modern architectural language. The typical geometric ornamentation on the facades is a link between traditional, Islamic art and contemporary Dutch design. 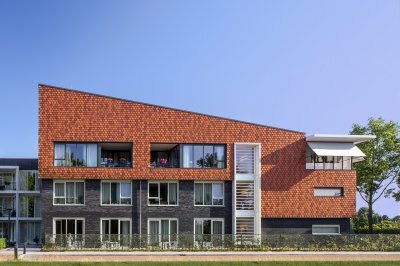 And the combination of Turkish natural stone and Dutch bricks symbolically connects the two cultures that come together in this place. 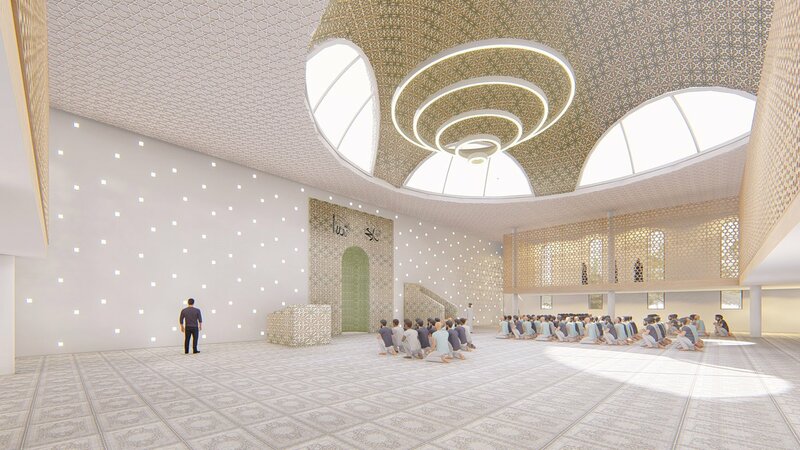 The concept of 'connecting' is also the guideline in the spatial programming of the building: on the one hand, the mosque is a place where religion is practised, and on the other hand, it is a building where a close community conducts its social activities. This comes together in the central space that is located across all layers in the heart of the building. From two opposite, equal sides, the men and women enter this hall where all functions come together on a practical and visual level. 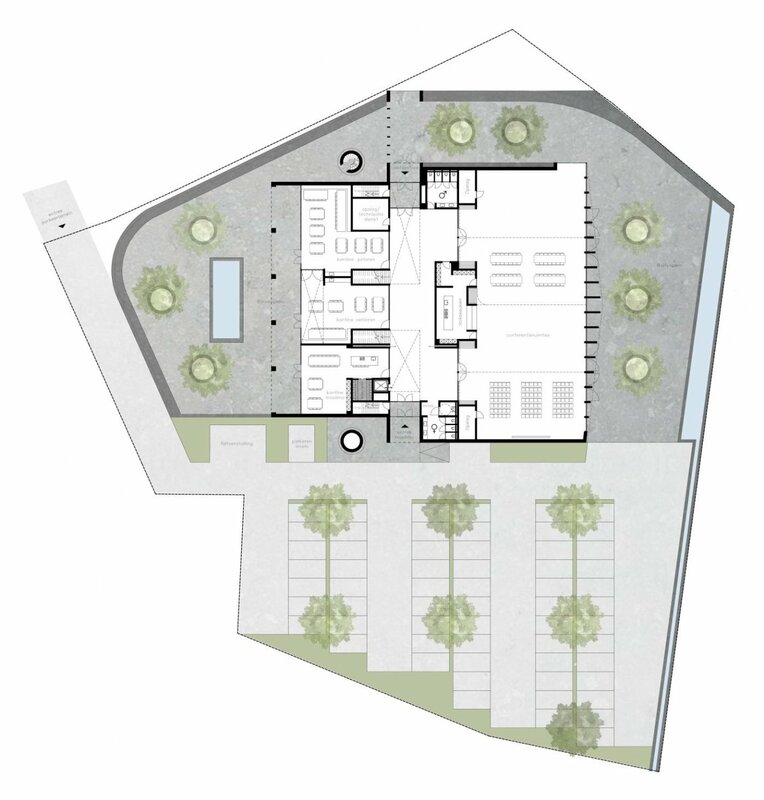 A sliding wall and two independent elevators ensure the necessary separation, but on special (holi)days the entire ground floor, including the outdoor areas, can be pulled together into one large community room. The positioning of the building is determined by the orientation on Mecca. This results in a formal square on the east side, facing the railway line, and a more private, informal square on the west side, directly connected to the 3 canteens for women, youth and men. Opposite are the central kitchen and the 4 conference rooms that are connected to the formal square. The large prayer room is located on the first floor and can be reached from the central hall via two symmetrically arranged stairs. The wall with the mirhab (a niche that indicates the direction to Mecca) is made up of a grid of three-dimensional elements. This creates an acoustic buffer for the railway as well as a special light pattern to the prayer room. On the second floor, the classrooms and the balcony of the large prayer room are located. 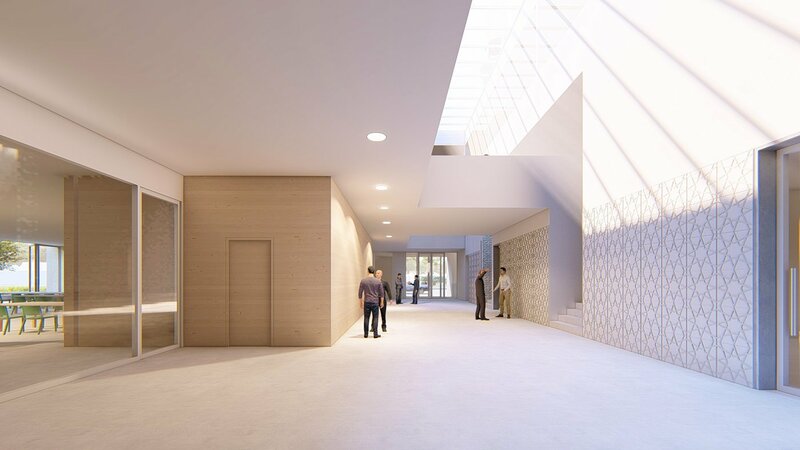 In the design, a first move towards a low-energy, sustainable building has already been made by means of the spatial structure and the chosen materialisation.